A new house means a new look. But your budget is small and you’re not sure where to start. We’ve got you. We collected the smartest tips for defining your style, shopping for deals, and getting the most out of online design services. Along the way, we’ll drop our favorite resources for must-have goods. You can’t afford a pro to lead the way, and that’s OK. With a little savvy and a lot of Wi-Fi, you can do this. 1. Pinterest is the obvious depository for inspo, but it’s useless if you don’t know how to analyze your boards and define what you like about the images you’ve collected. Here’s how to do it: Browse through your home boards (on a tablet or desktop—small mobile images aren’t helpful for this task) and jot down anything you see popping up more than once. Maybe it’s a material such as marble, a particular color, a shape of sofa…whatever it is, write it down and put hash marks next to it for how often you see it. The resulting list helps show not just what you like, but what you love. The combination of those often-appearing features might also clue you in to your style. For example, do you pin a lot of rustic wood, simple foliage, and neutrals? Modern rustic might be a way to define your style. If you’re still stuck, invite a friend over to look at your boards with you. An objective eye is quick to spot commonalities you might be blind to. 2. Find a home store you love, and figure out why you love it. Is it the tight color palette of everything on the floor? Or maybe everything comes from or calls to mind a specific era or style of decorating? This is a little like consulting a decorator, in that boutiques are curated by a pro with a certain point of view. Once you’ve figured out what’s appealing about it to you, go back to your Pinterest boards and see if it helps focus your inspiration and list further. By the way, this works both IRL and in online stores, though brick and mortar shops help you figure out the scale of furnishings and accessories more instantly. Try: Lawson Fenning, Nickey Kehoe, Jayson Home, and LEIF Shop. 3. Instagram: Not just for inspirational quotes and FOMO-causing concert photos! Follow designers, stylists, home brands, and local decorating stores for behind-the-scenes tips, new sources, and fresh inspiration. Make liberal use of that Save button and LiketoKnow.It, an app that lets you take a screenshot of a ‘gram you like, then sends you an email with shopping links for what’s in the shot. Try: Shoppe by Amber Interiors, Brian Paquette, Max Humphrey, and Megan Pflug. Ok, I’m Ready to Shop. How Do I Get the Best Deals? First, give yourself permission to go slow. Finding good deals takes time, and spending money on something you don’t like just to finish a room winds up being a waste of money. Here’s a two-step method for staying focused while you wait for sales and serendipity. 1. Make a master shopping list of what you need. Include photos of inspiration pieces to stay on track. Consult this list any time you’re shopping, whether in person or online. It will prevent you from making rash purchases just because the price is right. Bookmark these online destinations, but don’t forget to frequent your local home décor stores, too. They’ll often have special deals on inventory that isn’t moving in your city, or on floor models. Big box and home-improvement stores. Walk the floor of a Home Depot or Target and you might leave empty-handed. But take a look online. These stores and others like them have a much larger inventory on their sites, often stocked with edgy or higher-end looking pieces that aren’t right for a mass market. Try: Home Depot for crazy good rugs, lighting, and dining chairs. Target for furnishings too large to carry in store, or extensions to your favorite designer collections. Costco for modern upholstery. Online megastores. Yes, you have to slog through page after page of products or toggle filters until you think you’ve lost your mind, but the hunt through an online clearinghouse like Overstock.com or Wayfair is often worth it. They carry name-brand goods at competitive prices and often deeply discount (we’re talking 40-80%) during major sale seasons. Have some patience and you might just walk away with a splurge-worthy piece for a pittance. 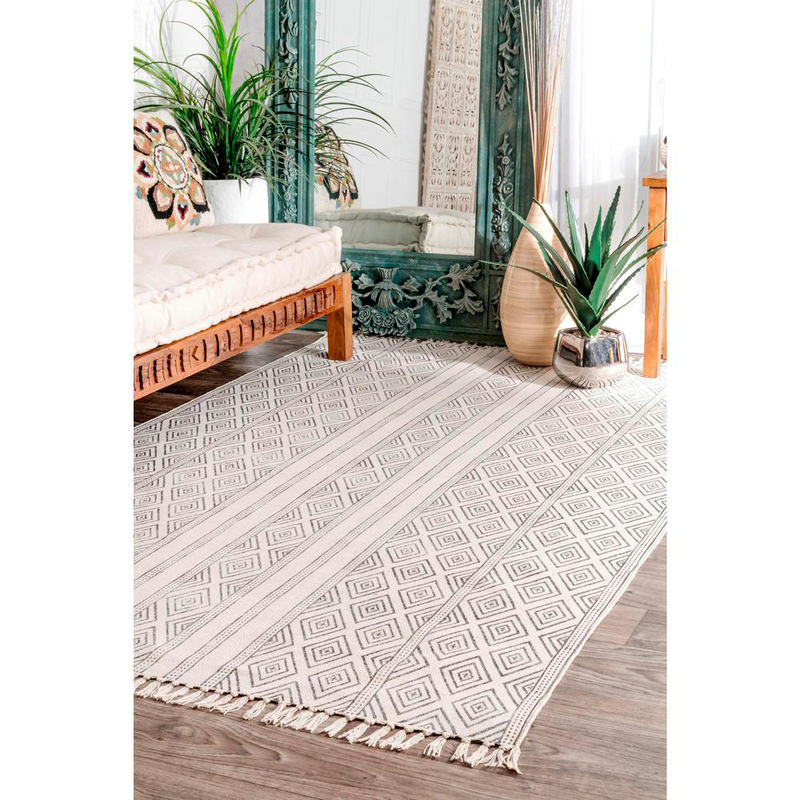 Try: RugsUSA, Wayfair, AllModern, Well Woven, Overstock.com, and Hayneedle. Flash sale sites. If you don’t mind a little adrenaline, flash sale sites and apps are excellent for unexpected pieces at good prices. Most work this way: You sign up for their newsletter or download their app, then receive daily (or more) alerts for brand-name items on mega-sale. But you have to hurry, because most sales last only a few days, and some mere hours. Try: Gilt for luxury goods, HauteLook, and Jane for customized pieces. Instagram. Follow small brands and makers on this platform and you’ll get access to exclusive sales, merchandise, and special offers. That’s because small operations are increasingly using Instagram to test out new products, get rid of old merchandise, and reward their die-hard fans. Don’t forget to follow vintage dealers, too. They don’t often offer discounts, but you’ll get a good idea about market prices for certain eras and styles. Lastly, download the LiketoKnow.It app and anytime someone you follow uses the program, you can screenshot the photo and the app will automatically send you an email with shopping links. Try: Local + Lejos, Three Potato Four, Lost and Found Shop, and Cedar & Moss. Secondhand. Someone else’s trash is, well, you know. Cut down the time you spend surfing Craigslist by setting alerts for keywords relevant to what you’re looking for (e.g. “Danish,” “teak,” “mid-century,” “buffet,” “media console,” “Scandinavian”). Check in on Etsy regularly. This formerly only handmade market now hosts small vintage dealers, too: It’s like shopping hundreds of thrift and antiques stores at once. The site is best for what designers call “smalls:” accessories, pillows, artwork, and occasionally lighting. Just keep in mind where the seller is located so you don’t blow your budget on shipping costs. Try: midcenTree, midcentury8, and Chairish (the place designers often consign their extras). If you have even a little bit of extra cash to spend, professional design help is in reach either via the magic of the Internet, or through unconventional local sources. Homepolish. One of the few virtual design services that pairs you with a local designer (usually a young designer who is just getting started), so he or she can visit your space. After that, the design plan and decision-making is all done via Homepolish’s custom dashboard. Bonuses: You’re assigned a dedicated account manager to answer all your questions, they’ll order product for you, and they have a vetted list of contractors and building professionals if you need them. Rates start at $130/hour. Decorist. 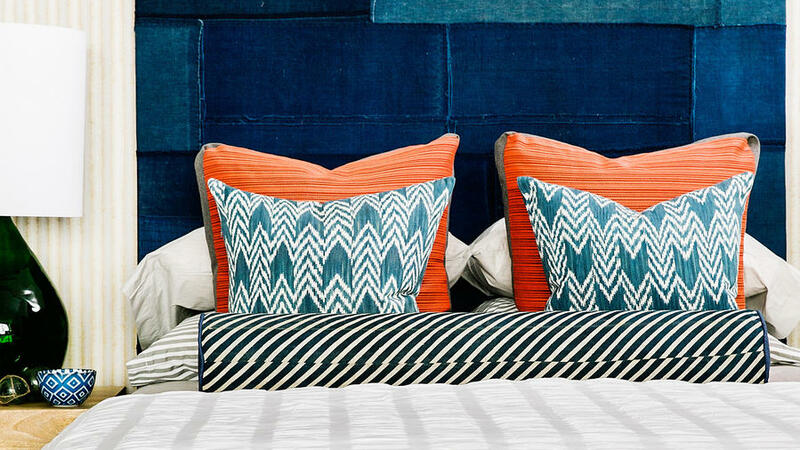 With Decorist, you gain access to different tiers of designers for different flat fees. What sets them apart is their “Celebrity” category, which allows you to work with big names such as Jessica Helgerson, Justina Blakeney, and India Hicks. (The Celebrity design fee is $1,299/room.) Like most services, you’ll receive a comprehensive design plan and shopping list. Decorist will place and manage your orders as well. Rates start at $299/room. Laurel & Wolf. If you’re looking for options plus economy, Laurel & Wolf likely has a design package and price point for you. Their services start at just $79/room (for an accessory refresh and plan to restyle what you already own) and top out at $249/room for two complete design plans for you to choose from. Each package comes with a set amount of “Design Time,” (10 days for the highest package), so if you’re not a fast decision maker, this might not be for you. But if it is, check in frequently: They often run sales on their already-reasonable fees. Rates start at $79/room. Havenly. Like most services, you start by filling out a style quiz and choosing from more than 100+ designers (they each have an abbreviated portfolio on the site so it’s easy to find one whose work you like). Unlike any other service, Havenly offers an initial call with a designer, plus product recommendations and a buying service for free. Yes, that’s $0. Sure, you’ll get upsold, but their room designs start at $79 with their highest package (including a 3-D room visualization) topping out at $199, with $50 of that going toward your furniture purchase. Rates start at $0. Home décor stores, whether national brands or local boutiques, usually offer à la carte design services. Here’s how to take advantage. Local boutiques. Usually décor stores have an on-staff designer to help make in-store purchasing decisions. If you’ve done this a few times and like the person you’re working with, ask if they do home visits and more extensive design plans. Most do, and typically the design fee is small since they’ll primarily be recommending items from their store to purchase. You’ll get the benefit of a curated group of furnishings and accessories from many sources, plus advice from someone with local connections. National home décor brands. Depending on their merchandise, many national chains offer in-store design consultations that can help with something as small as choosing between two sofa upholstery fabrics or something as big as a whole-house makeover. Take advantage of this service (it’s often free and they have local connections), but know they’ll be recommending only products from their brand. Try: West Elm’s free design services. The people behind those awesome room sets at your favorite store. If the merchandising at a big name store is what draws you in week after week, ask who does it, then see if that person does any design work on the side. Many stylists and designers get their start in merchandising, so you might have a chance to work with someone before they hit it big. Shortcut the tricky parts of design—creating a color palette, visualizing your space—with these top apps and tools for decorating. 1. magicplan. Snap a photo of your room and magicplan generates a to-scale floor plan with your room’s actual measurements. (Yes, that qualifies as magic.) You can edit it, adjust it, or add furniture to it as you please, all for free. A PDF (or other file type) of the plan costs $2.99. Also try: Home Design 3D. Both the free and a premium version let you build a 3-D model of your room, then import photos of your existing furniture or products online and add them to the model. Upgrade to the premium version ($9.99) to save and share. 2. ColorSnap. Trying to match a paint color to your favorite piece of art (or pillow or rug) can be a fruitless guessing game. Not with ColorSnap. This app from paint company Sherwin-Williams allows you to take a picture, then matches it to their paint colors and even suggests a palette for you. 3. Modsy. Think of Modsy as a fitting room for your home. This service takes your smartphone snapshots of your room and builds a detailed, accurate 3-D model for you. But more than that, their design staff uses your style quiz (yes, another of those) and suggests a few potential designs for you. You can swap paint colors, wallpaper, furniture, and accessories out yourself, too. (All from major brands, all buyable directly from your plan.) The initial design is $69, and $199 upgrades you to a “style adviser” who acts as a personal designer on your project. Also try: Homestyler Interior Design, which allows you to place on-the-market furniture over photos of your room—and then shop your plan. It’s free.